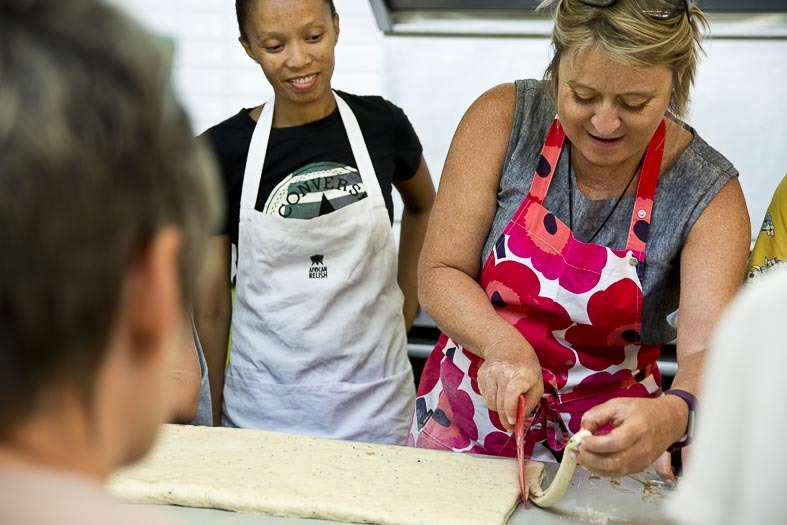 On Saturday 26 January hosted a morning course with a very special baker. Swedish cook and cultural ambassador, Anna Tvinnereim paid a flying visit to Prince Albert, fleeing the Northern winter. On her way back to Cape Town from visiting friends on the Garden Route, she manage squeeze in time for a course. Fun and enthusiastic, Anna Tvinnereim shared a wealth of knowledge in her short time with us. 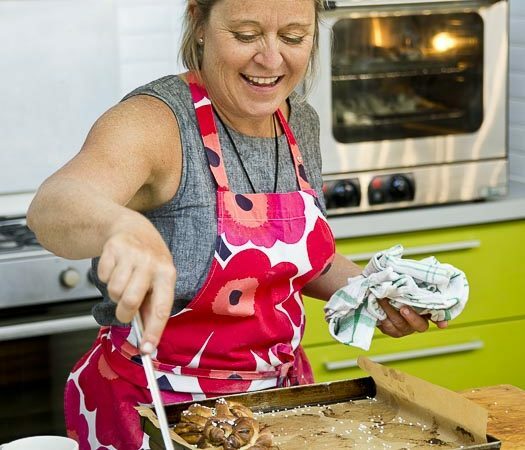 Anna splits her time between her bakery in Toronto, Canada, and her seasonal restaurant in Sweden run with her partner Lasse. 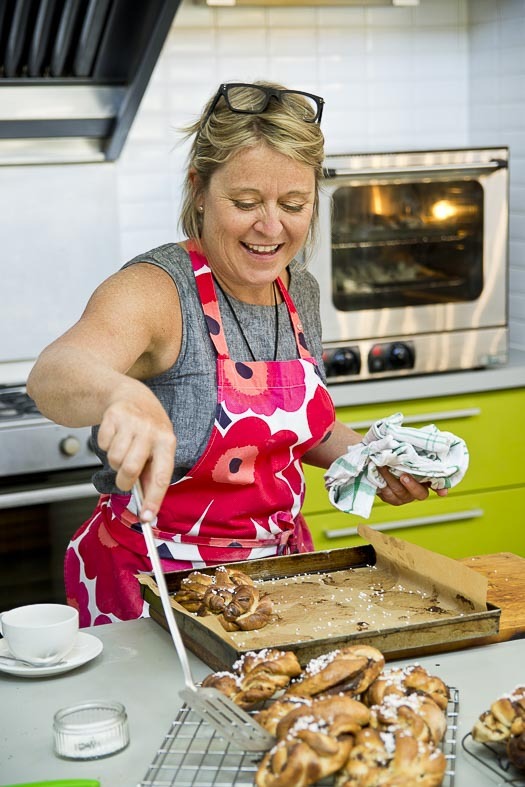 In Toronto, Beaches Bakeshop & Café has become a meeting place for the expatriate Scandinavian community. 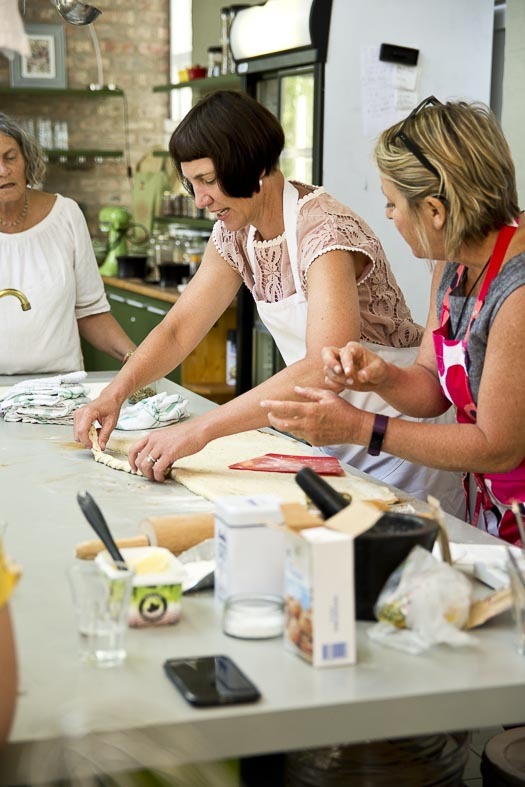 Apart from her focus on Swedish cookery and baking, Anna regularly gives classes on Swedish food and traditions. 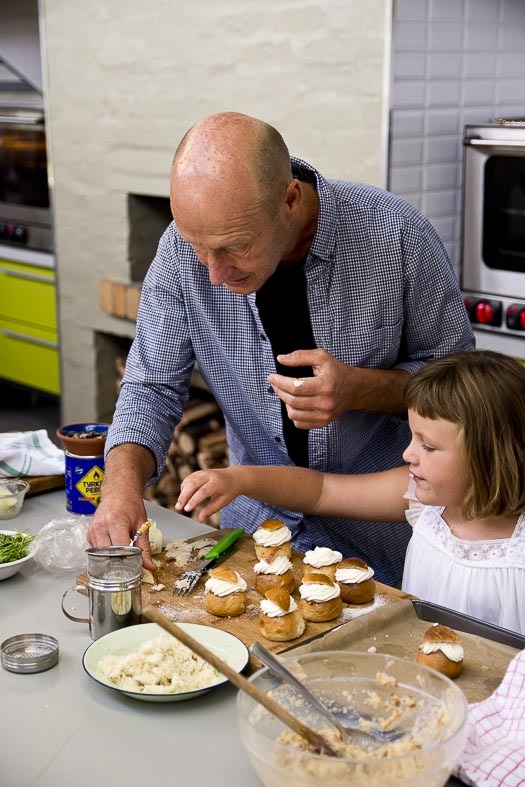 Anna’s partner Lasse was happy to demonstrate the art of Semla buns to shorter guests. Her visit with us was painfully short, but it was fun and fascinating and thoroughly enjoyed by the guests who joined us. We have extracted a promise from Anna to join us on her next trip and do a full weekend course. Lasse is a regular visitor to South Africa as he is a keen kite-surfer. The Atlantic coast near Cape Town is kite-surfing heaven, so they should be back soon. 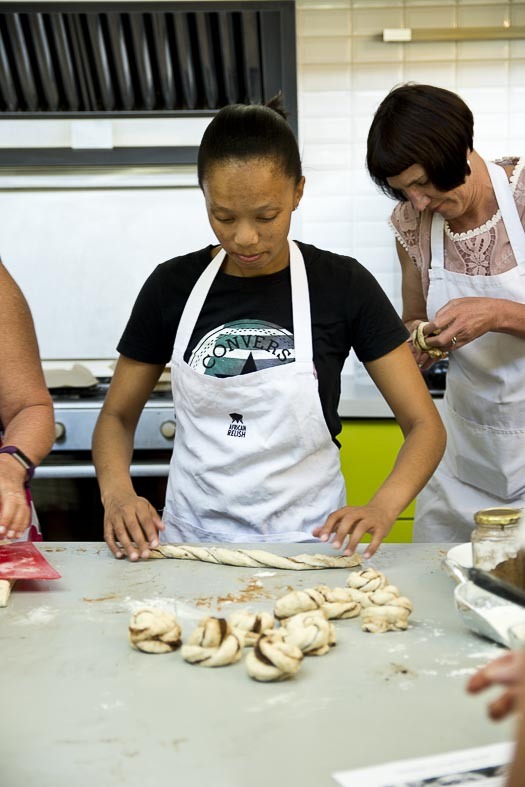 Learning to roll a Swedish cinnamon bun was a challenge for some. Interestingly, the balance of flavours with the delicious dough was perfect. They were neither too sweet nor too spicy. The perfect treat with a good cup of coffee. 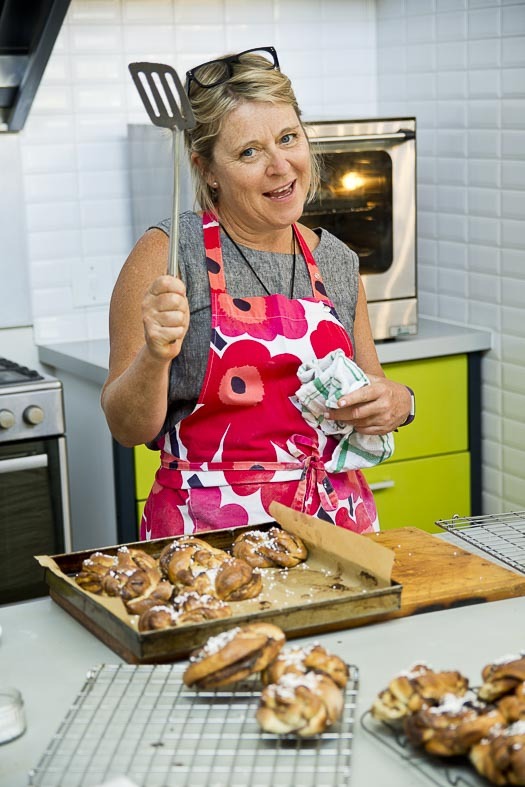 There were a lot of laughs and some interesting sculptures created when Anna had guests try rolling and forming the buns. It took chef Camilla a few goes to get it right. Our pastry queen produced perfect buns first time and was polite enough not to laugh too loudly at Camilla’s efforts. 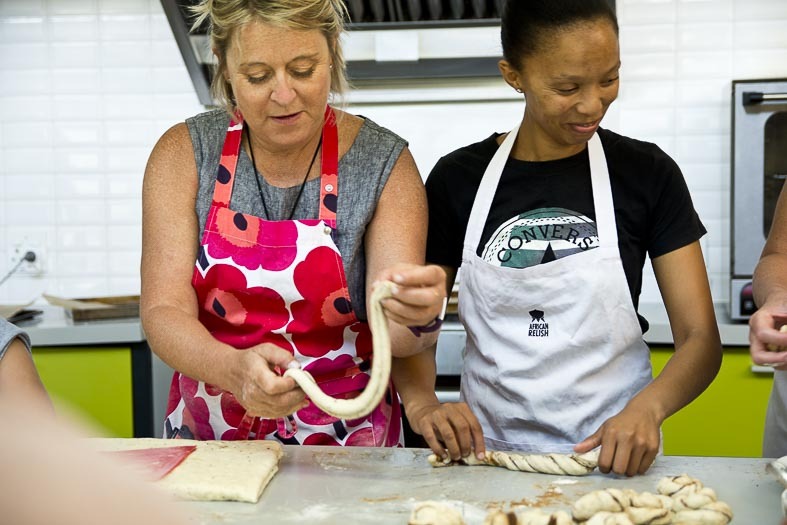 The African Relish team loves to host chefs and food artisans and learn new skills. Rowena took to rolling the buns like a Swede to ski-jumping. Rowena also did her best not to laugh at chef Camilla’s efforts to roll buns. 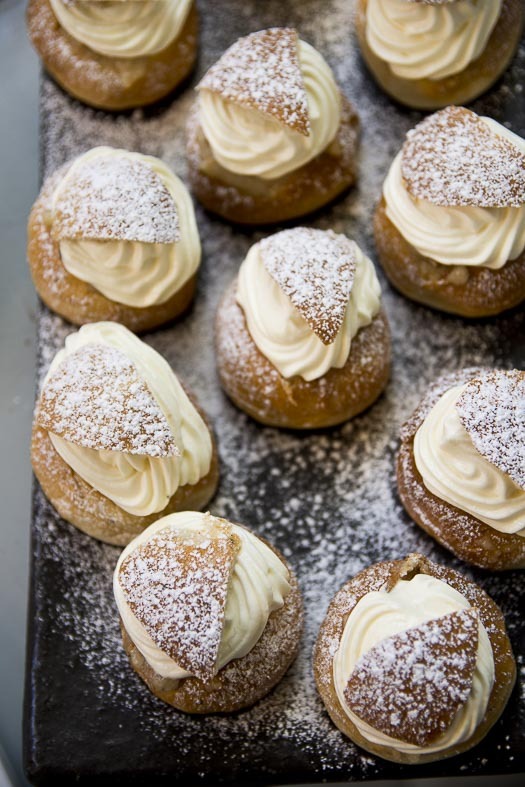 Also on show was the Semla Bun, a traditional treat served only at Lent. They’re very hard to find at any other time of the year. (Probably because Swedes eat them all.) 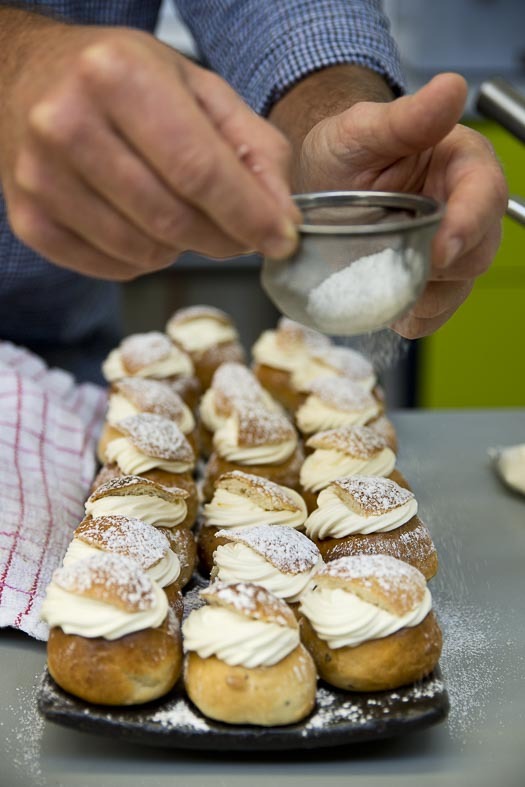 They are so delicious, filled with an almond paste and cream, and so easy to make. 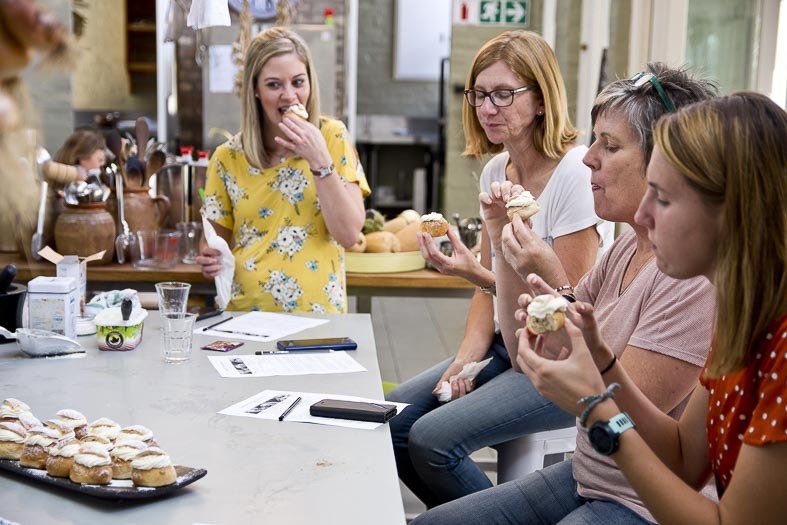 As long as nobody is going to stone you in the village for eating them at the wrong time of year, they make fantastic tea cakes to enjoy any old time. We really look forward to Anna’s next visit. 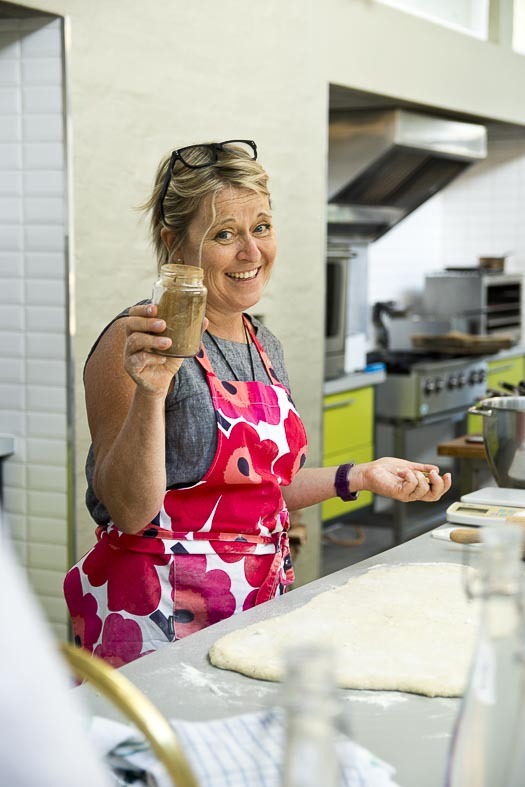 Thank you Anna for your time and all the fun we had with you in the African Relish kitchen.